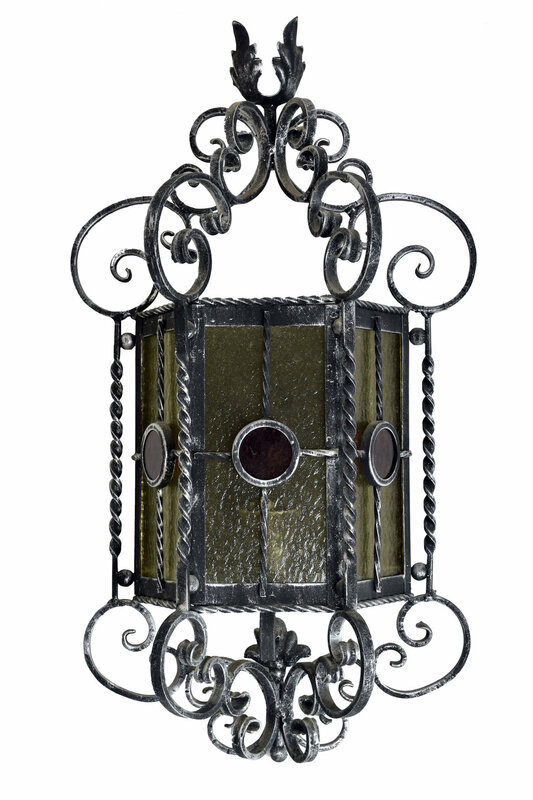 This highly decorative Italianate iron sconce features unique curving lines that wind their way around the structure. 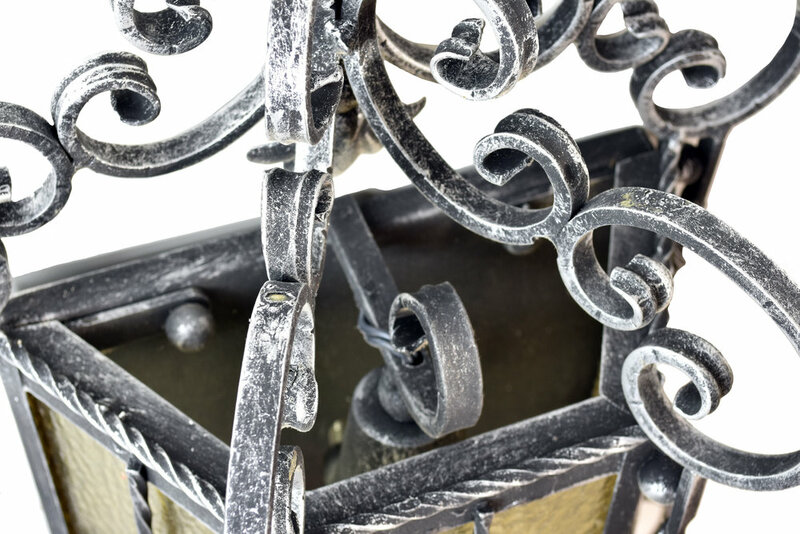 A leaf-shaped finial tops this pleasingly symmetrical item. The warm yellow hues of the glass wonderfully compliment the cooler darker color of the metal frames. 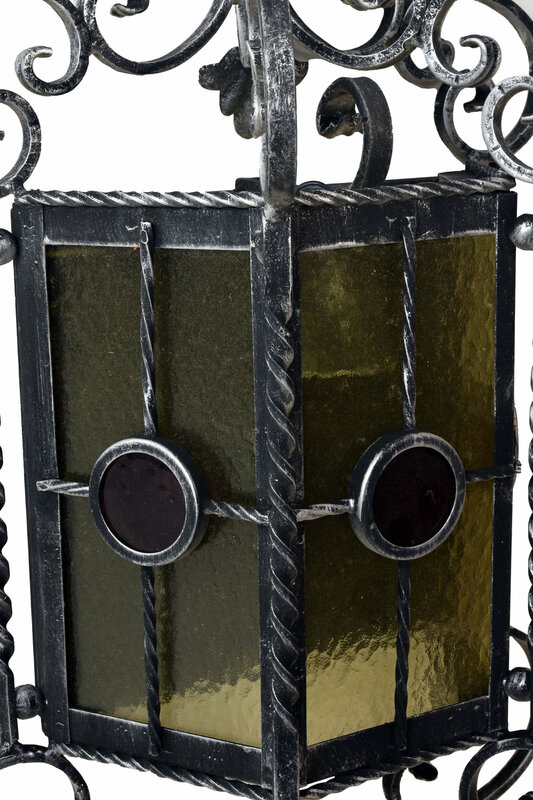 Twisted wrought iron metal pieces surround the edges and draw the eye’s attention to the geometric design that perfectly centers the glass. Be sure to include the Product ID AA#48053 when making your offer.